It’s down the home stretch now- only one more city to this first trip of my tour! We enjoyed the historic nature of Adelaide, another city by the sea that is accessible with lively cafes and a lovely botanical garden. 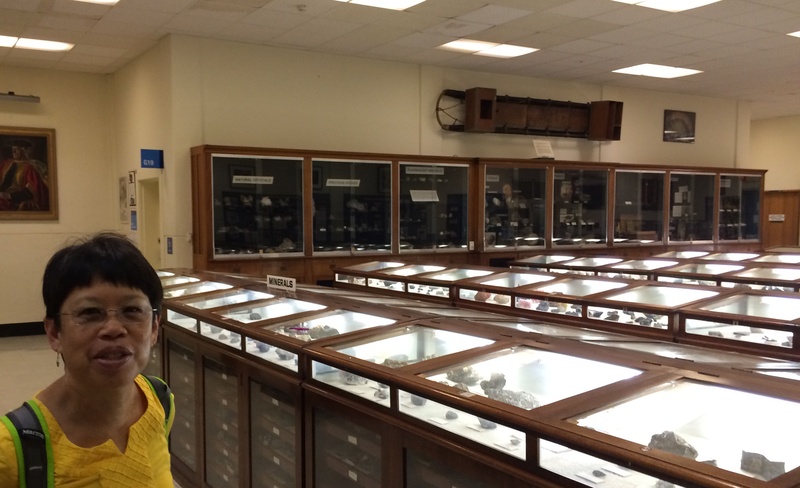 We especially enjoyed visiting the South Australian Museum where they have impressive displays of Ediacaran fauna, opalized fossils, and Aboriginal collections. 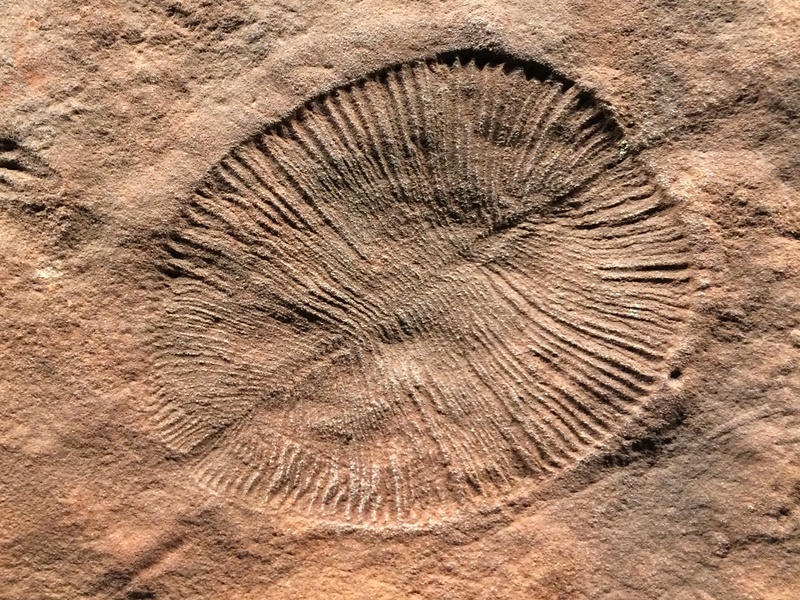 Many samples of Dickinsonia, the iconic fossil of the Ediacaran Period, are on display at the South Australia museum. 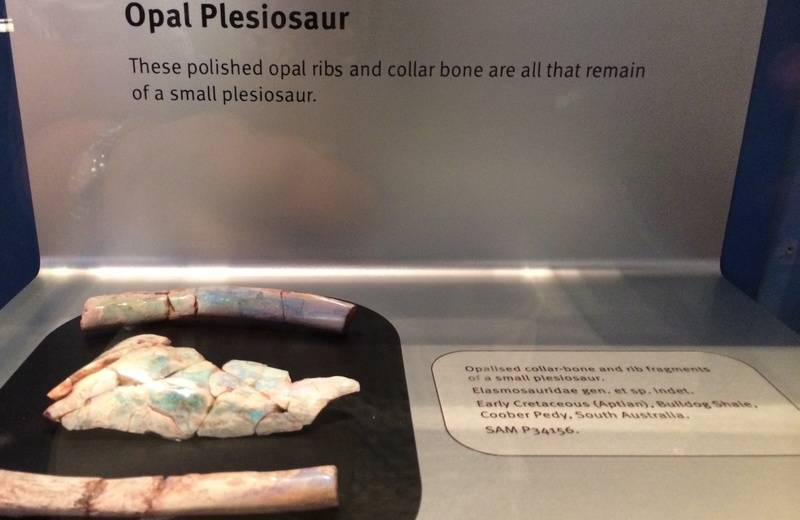 Opal replacement of fossils in Australia includes this plesiosaur. 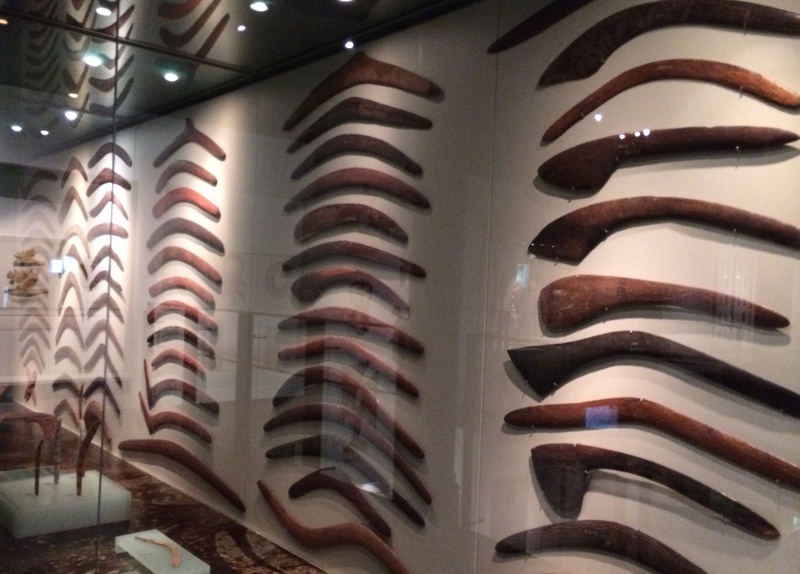 Aboriginal displays with Australia’s famous boomerangs. I gave two talks at University of Adelaide, including one for the Geological Society of Australia – South Australia division. The University of Adelaide geology department resides in a building named after the famed Antarctic explorer Sir Douglas Mawson. One of the sleds made for his expeditions is on the wall of the department museum.